As aficionados and visitors to Champagne would know, there are considered to be three main areas where grapes are grown in the region. Two of these areas are between Reims and Epernay; the Montagne de Reims which is famous for pinot noir, and the Marne Valley famous for Pinot Meunier. 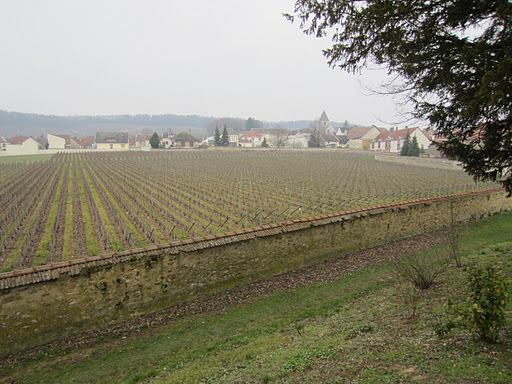 The third area is to the south of Epernay, and is the Cote de Blanc famous for chardonnay. It just so happened that the majority of the houses I visited in 2010 were in either Reims or Epernay, and occasionally in Ay and Mareuil-Sur-Ay, which are both in the Montagne de Reims. I was very pleased therefore to get the opportunity to drive down into the Cote de Blancs for the first time to make my first appointment for the day. It would no doubt have been nicer during Spring, Summer or Autumn, but at least I got an idea of the terroir of the appellation. 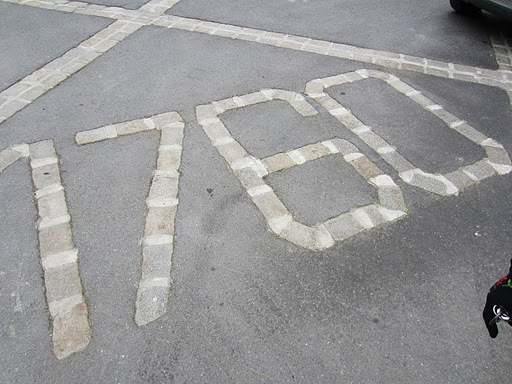 Champagne Delamotte is one of the oldest houses in Champagne, dating back to 1760. 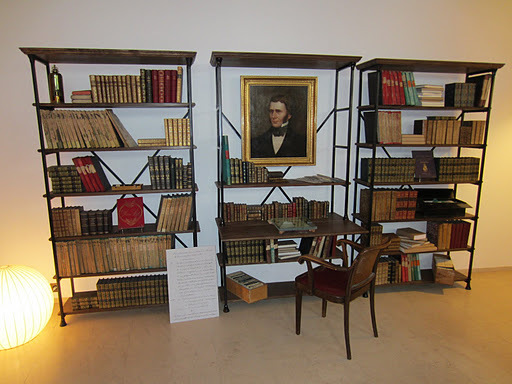 It was originally founded in Reims, along with many other historic houses. The focus at Delamotte has always been on chardonnay, and thus it made sense for them to eventually relocate to Mesnil-Sur-Oger, located in the heart of the Cote de Blancs. It also hasn’t always been in the same hands, having suffered the difficulties of many in Champagne in the 1930s and being forced to sell. Today it is part of the Laurent-Perrier family, the majority shares being owned by the original family. Being part of the Laurent-Perrier group has numerous advantages, such as use of facilities and equipment. Thus much of the vinification of the wine is performed in Tours-Sur-Marne. The focus on chardonnay hasn’t changed though, and this was exemplified when they incorporated their neighbours Salon into the house, as the wine is famously produced from fruit grown in Mesnil. Initially Salon was not a commercial wine, but produced purely for the pleasure of the owner. Sourcing fruit from select growers in the village, he produced a chardonnay based blanc de blancs in exceptional vintages, aged them on lees in his private cellar for over eight years, and enjoyed them only with his closest friends. He began to sell his wine commercially in 1921 , and it quickly gained a reputation, as did the village. It has been considered by many to be one of the finest champagnes available, and well worth the $600+ price. Having a bottle of the 1997 vintage in my cellar at home, but never having tasted the wine, I was very excited to visit, and it was actually the first appointment I made. The village of Mesnil-Sur-Oger is charming, and Delamotte is the heart of it. 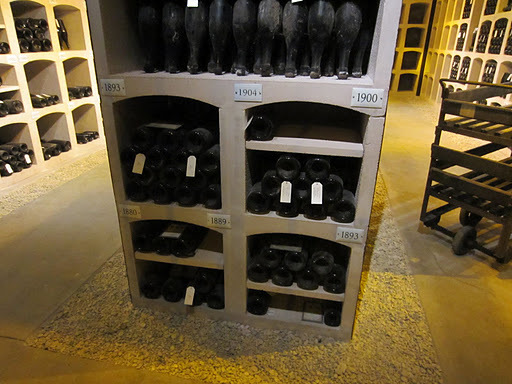 The tour focuses on Salon, as the few visitors who are allowed access are generally very experienced and knowledgeable about Champagne, and it is often the reason they visit. Having tasted the Delamotte range, I would have to say it is one of the most underrated champagne brands I have ever tried. The focus on chardonnay contributes to the brightness and freshness of the wines, with lovely citrus and apple fruit characters. The minimal dosage sugar also allows the chardonnay to express itself more. The current vintage of Salon is the 1999, but down in the cellars there are bottles going all the way back to the first vintage. This is probably the most age-worthy champagne I have seen, and makes me sad about the idea of having to wait for the 1997 in my cellar to mature. Click here to read my notes. 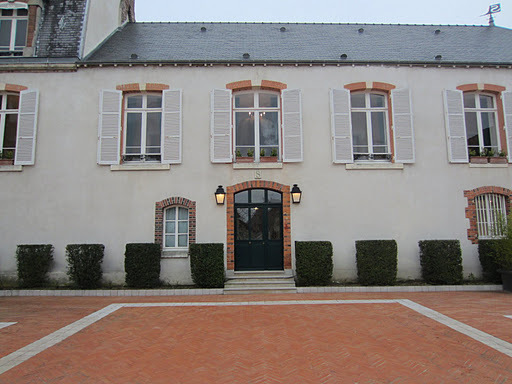 On my way out of the village, I visited the famous Clos du Mesnil, which makes one of the greatest wines in the world (let alone Champagne), and belongs to the second appointment I had. I couldn’t help sneaking in a little andouilette at the Brasserie Boulingroin beforehand though, and it was as I remembered it from my last visit. In a very unassuming part of central Reims, in very understated buildings, sits one of the most (if not the most) important houses in Champagne. It is also one of the most exclusive houses, notorious for being very selective in who they welcomed. If you haven’t heard of Champagne Krug, you are missing out on some of the finest champagne available, but you are also saving some money, as an appreciation for these wines can be costly. Thanks to my previous tenure at Domaine Chandon Australia and close relationships with Moet Hennessy Australia, I had visited Moet, Veuve Cliquot and Ruinart back in 2010, and it was with both surprise and excitement that I arranged an appointment here on this visit. Champagne Krug is by no means one of the oldest Champagne houses, having been founded in 1843. Considering what the house became it is quite amazing the velocity with which their reputation grew. This is thanks to the unrivalled philosophy and approach of the founder, Johann-Joseph Krug, to produce the finest champagne possible. 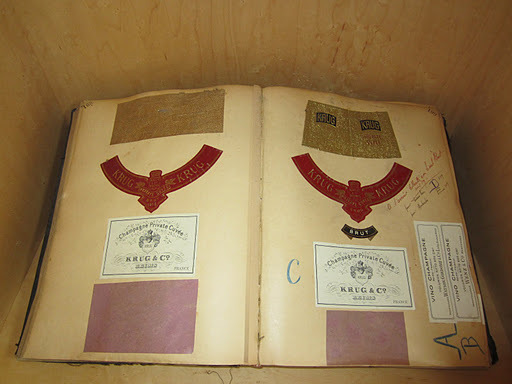 The major thing that made Krug different initially was their focus on multi-vintage blending, rather than on vintage wines which were fashionable at the time. It was this blending of reserve wines that would maintain the consistency of style and quality, that would ultimately change the face of Champagne as demand of wines from this region grew around the world. The selection of the best vineyards in Champagne to make up the blends was the first priority, and Krug established strong relationships with growers from many grand cru villages. Even today, Krug is different to the vast majorities of houses, where there is no hierarchy between vintage and non-vintage wines. The reason why vintage wines from Krug are more expensive is the fruits more expensive and rare nature, wines only being released in exceptional vintages. Reserve wines are naturally more important at Krug than at other houses, as up to 40% of each wine is made up of reserve wines that are sometimes over 10 years old. 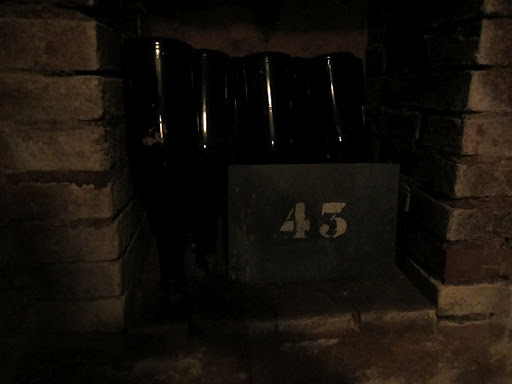 The reserve wines are stored in stainless steel tanks (different to Bollinger which store them in magnums under cork), and they are all tasted several times during the assemblage process. There is primary fermentation in barrel, which adds complexity, and then all the wines have at least six years of age on lees. The combination of blending, barrel fermentation and extended time on lees is the hallmark of Krug. Something I found interesting was the varied backgrounds of the winemaking panel, who all bring their own unique perspective to the blend. Click here to read my notes on the tasting. Click here to see more photos from Day Three in Champagne, France.